Outbound marketing is directed from you and outward to your customers. It involves sending your marketing message to a wide audience which you hope will contain potential customers who could be interested in your products and services. Advertisements have been a longtime staple of outbound marketing. In the physical world, ads commonly appear in periodicals and newspapers and on billboards. In online venues, banner ads or spot ads on websites are the electronic equivalent. Mailing lists of potential leads contain physical or email addresses of prospects identified as interested in a type of product or service. Marketers then send direct mail or email messages to these individuals in hopes of triggering inquiries or sales. Database marketing is the most important form of outbound marketing because it costs less and is easier to sell to an existing customer than a new one. 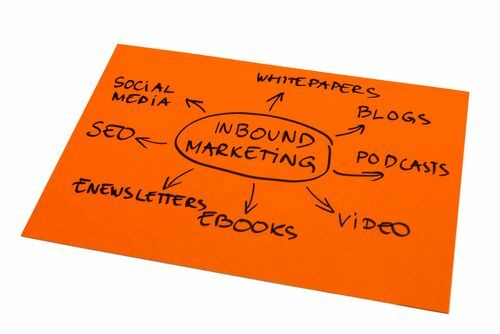 Inbound marketing brings prospects and customers to you. Its major component is online content delivered via blogs, websites, social media and other venues that attract interested persons through appealing information and entertainment. Attracting: The original, useful content you provide attracts potential customers to your online locations. Since customers have voluntarily and perhaps enthusiastically come for the content, they’re highly likely to already be interested in what you’re offering through your marketing messages. Converting: Inbound marketing helps convert prospects through effective and appealing landing pages and calls-to-action that entice further activity or sales. At this point, you can capture customer information such as email addresses for further opt-in marketing. Closing: Prospects are closed through additional marketing, personalized recommendations, direct sales contacts and similar techniques. By now, you have built a relationship with your prospects and they’re most likely to be ready to buy. Serving: Post-sale customer service, interaction through social media and continued contact that includes useful information will keep customers happy and make them more likely to buy from you again. Where could an inbound marketing program successfully fit into your current business model? Pingback: Are Your Inbound Marketing Strategies Paying Off? | Continuity Programs Inc.